The Things We Leave Unsaid looks at how what we don’t say can have just as important an impact on our lives and relationships are the things that we do say. Set in Australia, it features two narrators, Tessa and Clare, who tell the story in alternate chapters. They seem very different kinds of people but after Tessa hires Clare, the two become firm friends. Tessa is a coffee shop owner and very commitment shy, only getting involved with men she thinks are unavailable or also don’t want to commit. She is estranged from her father following a bitter divorce from her mother who is in long term care in hospital. Clare, by contrast, is very family orientated. She is married to Pete and expecting their first child. She loves being part of husband Pete’s large welcoming family. She was brought up by her grandmother after her mother died when Clare was very young. Since she is now expecting her own child, she is keen to find out more about her mum but soon ends up on a family history search which is not as straightforward as she thought. All The Things We Leave Unsaid was easy to read and very enjoyable. The descriptions of the food and drinks in Tessa’s coffee shop were rather mouthwatering! Both Clare and Tessa are very likeable characters. The author tackles some difficult issues very sensitively and I think many women will be able to identify with the situations facing both the main characters. Both women responded to their experiences in ways I felt were realistic and the author conveyed their emotional reactions very well. If you enjoy books with a bit of romance, some humour and engaging characters, then I’m sure you will enjoy this story. 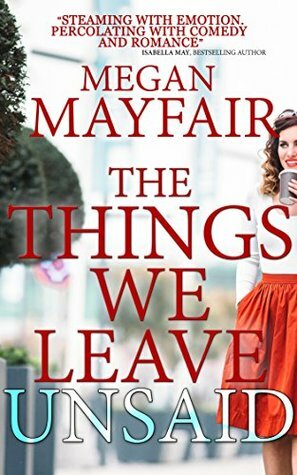 Megan Mayfair is a Melbourne-based writer who draws inspiration from her beautiful hometown and regional Victoria to create contemporary women’s fiction, containing a big dash of romance and a spoonful of family intrigue. With a background in public relations, copywriting and higher education, Megan is passionate about words and loves to bring them to life on the page. 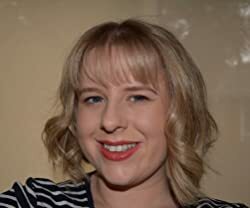 Megan holds a Master of Arts in professional communication and is a member of Romance Writers of Australia and Writers Victoria. Megan is married with three children, loves a good cup of coffee and believes you can never have too many scarves.